Do you have the desire to heal yourself and others? Do you feel a heart-calling to step more fully into who you are? An Intuitive Healer is someone who has committed first and foremost to their own healing and spiritual journey, and it is a a natural progression for many – especially those already working in healing fields such as therapists, counselors, coaches, massage therapists and medical professionals – to also choose to progress to becoming a “professional” healer guiding others to experience powerful transformation by aligning mind, body, and spirit. As humans, we naturally embody the capacity to heal. But often times, the potency that resides within us gets watered down by the every day. To return to our natural state—to the version of ourselves who can inspire shift in ourselves and others—we first must deeply know who we are and for what unique purpose we exist on Earth. The online Intuitive Healer Training Program guides the exploration of both. Not everyone who enrolls in Wendy’s signature Intuitive Healer Training Program is looking to develop their ability to work with others directly. Some only want to facilitate their own personal healing process, and to be able to be powerfully present to their intuitive capacity to be an agent for positive change. Look around, and you’ll see that healers and a special kind of healers, “intuitive healers,” are everywhere. That’s because each of us embody the ability to hear that still small voice within and to heal. It is our birthright as sentient beings born to thrive on this planet. However, for those with the desire to profoundly transform their lives and others, the term “healer” takes on a very different meaning. Who can become an Intuitive Healer? Access your own power instead of looking outward for answers. If you recognize the overwhelming need for healing on this planet, consider more deeply the examination of your own heart-calling. Perhaps, you are you Divinely destined to serve the world as a therapeutic and intuitive healer. How do I become an Intuitive Healer? Am I willing to undergo personal expansion? Am I interested in spiritual growth? Yes? Then you’re n the right place. This comprehensive course on becoming a healer starts with an in-depth and experiential learning of your own intuition and intuitive gifts. This process initiates a significant shift of energy healing that helps you invoke the Divine light, empowering you to step fully into your clear truth as who you came here to be. Participants have 9 months to work through the Intuitive Healer Training Program curriculum, upon which you will be able to become trained via a comprehensive, 9 month, supported program, but also have the option to gain certification to become a Certified Intuitive Healer. Of course, not every participant endeavors to become a healer by trade, but by taking this course you will hone your ability to facilitate healing in yourself and others and begin your journey to living a life more Divinely connected. Who is Ideal for the Intuitive Healer Training Program? Those who additionally want to become a Certified Professional Intuitive Healer. 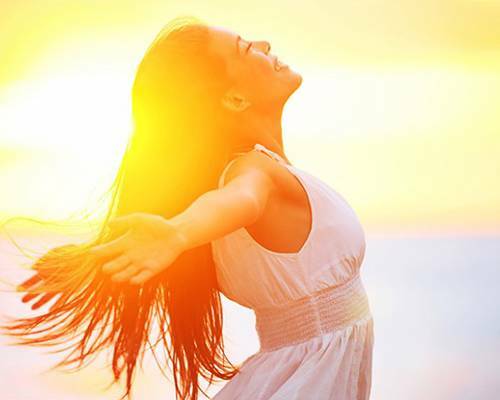 This program offers two tracks that lead to developing and mastering your intuition, understanding and freeing yourself from past trauma and emotional blocks, and ultimately stepping into the power of who you are meant to be. Apply for the Intuitive Healer Training Program TODAY! 1. Click here to fill out a brief application. 2. Wendy will reach out to you to schedule a call together where she will help you determine if this program is a good fit for you. 3. Read below to learn more about the program and our 9-month journey together. Join Wendy De Rosa for her powerful Intuitive Healer Training Program. Wendy’s signature online courses and energy-based curriculum will provide step-by-step instruction for you to deepen and develop your intuition, clear your emotional blocks, and transform yourself and others—all online courses from the comfort of your home. * Format — 2 Tracks: Learn how to develop your intuition to support yourself and gain healing skills or become Certified as an Intuitive Healer. * Self-heal & clear your own energy systems. * Gain clarity for yourself & others. * Discover who you are at your core. * Reveal & utilize your unique gifts. * Separate intuition from chatter. * Find your path & purpose in life. How will you experience the Intuitive Healer Training Program? Online video tutorials covering four unique healer-training modules. Assignments to integrate the healer-training work into your daily life and make life-changing shifts. Monthly calls with Wendy De Rosa to ask questions and share your progress. Weekly check-in calls to go over questions and progress. Student-to-student interaction to connect and share discoveries with individuals also learning how to develop their intuition. Exclusive access to the programs’ online community to ask Wendy questions. The work you do on your own, with Wendy, and with other participants who seek healing, will inevitably lead to life-changing shifts. Ready to take the first step on this powerful journey? 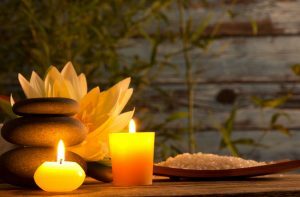 Read on to learn whether the Intuitive Healer Training Program is right for you. Throughout the Intuitive Healer Training Program, you will receive a deep, experiential, and practical understanding of intuition, energy in the body, and living spiritually awake. This remarkable learning comes through the Program’s proprietary healing method created by Wendy De Rosa. Uncover who you really are at your core. Discover your gifts and utilize them in your life. Separate true intuition from mental chatter. Understand the importance of the energetic anatomy. Access the tools for energy healing. Find the path to your soul and your purpose on Earth. Facilitate therapeutic healing for yourself and others. Tap into the power within, instead of looking outward for answers. The time to dive deeply into the spiritual self is now! The Intuitive Healer Training Program gives you the tools and skills to work with your intuition in your daily life and profession. 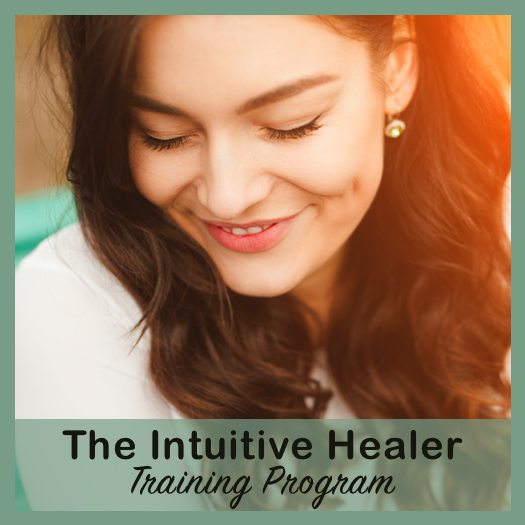 The Intuitive Healer Training Program with Certification, certifies you as an intuitive energy healer in the School of Intuitive Studies and in working with others. Intuitive Heart Program – On-going Bonus! The complete 9-month Intuitive Healer Training Program taught live by Intuitive Healer and teacher, Wendy DeRosa. Live training calls including Q&A with Wendy De Rosa. Assignments and practicum to support your learning. BONUS: Receive lifetime access to the online Intuitive Healer Training Program curriculum, video training, and assignments. A $1997 value. Free with your program enrollment! BONUS: Receive full access to my 8-week, online Intuitive Heart Program. A prerequisite for the completion of the Intuitive Healer Program. A $247 value. Free with your program enrollment! Tuition for the Intuitive Healer Training Program’s tuition is valued over $9000. I am excited to offer this 9-month program to you for $4597. The first 5 Day training of the IHTP is where you will experience a deep dive into healing your chakras and developing your healer self. Healing in all areas of your live stem from the clarity in the central channel of your being. This weekend is a cultivation of your inner light, through the clearing and release of life-long blocks held in the chakras. The training includes lecture and powerful guided healings for your personal growth and transformation. The second 5 day training is where you will learn how to facilitate energy healing work for yourself or others. You will take the tools you have learned from Module 1 and 2 and apply them in-person. Note: Tuition does not include accommodations, flights, or meals. Tuition for the Intuitive Healer Training Program with Certification is valued over $12,000. I am excited to offer this 9-month program to you for $5497. Do you have questions about the Intuitive Healer Training Program? Click here to fill out a form and schedule a call with Wendy today. On this call Wendy will help you determine if this program is a good fit for you. The 4 aspects of intuition and tools for clearing energy. Heart consciousness and the soul journey. Divine communication with spirit guides and angels. The focus of each module vastly differs in giving you a thorough and complete understanding and exploration of your own powers. The following synopses give you an idea of what we’ll cover online, during our one-on-one weekly calls, and more. Each of the modules detailed below provides the framework for participants to begin the healing process and become a healer (if desired). This entails developing your intuitive gifts and clearing the energy blocks that hold you back from living fully as the person you came here to be. Read the following curriculum specifics for more on how the Intuitive Healer Training Program can enhance your life for those looking to receive a deep, experiential and practical understanding of intuition, of energy in the body, and of living spiritually awake. Module 1 focuses on the foundations of energetic anatomy. Specifically, this includes study of the chakras, meridians, the aura, the characteristics of our power centers when they are in balance and out of balance, and how they relate to our daily life. Energy healing basics (what energy healing is, how it works, and how it differs from traditional talk therapy). The 7 main chakras (including blocks and power). Belief systems and programs that manifest in the chakras. The nature of wounds and trauma in the body. How to process emotions as energy. How to clear or transform energy. The Pillar of Light and the Grounding Cord. After learning about the above-mentioned topics, participants are given an independent study assignment of individual chakra clearing. Conference calls with Wendy and her assistants provide support for this part of the course where participants will look at, sit with, breathe through, and nurture various aspects of each chakra. By the end of Module 1, and after seeing, feeling, and perceiving energy, participants will experience some of their own healing. Module 2 focuses on seeing energy correctly for self-healing as well as for healing others. Specifically, this includes study of the four levels of intuition (seeing, hearing, feeling, and knowing) and the tools for clearing energy. How intuition works in the body. The four levels of intuition (clairvoyant, clairaudient, clairsentient, and claircognizant) and the power-centers or aspects of the participant’s life that need healing or strengthening to support these levels of intuition. Practices for developing these 4 aspects. Energy tools (cord cutting, boundaries, energy exchange, retrieving lost power, hooks, dents, imprints and programs. How to (and what it means to) heal. The soul versus the ego (conscious vs. subconscious). Meditation practices for quieting the mind. Exploration of emotional attachments, facing deep fears, empowerment, and the soul’s purpose. Because Modules 1 and 2 focus so heavily on healing the past to grow spiritually and live in the present, they are a time of deep healing, insight, and personal change. Once you have worked on clearing energetically, there is more space in your body for Grace to flow. The more space there is, the more you embody your light and your soul shines through. By the end of Module 2, not only will you clear blocks and get into the energetic body; you will also gain the ability to regard your own wounds, behaviors, and emotions with truth and honesty, and embody your light more fully. Module 3 focuses on exploration of the expanding heart-brain and healing-through-soul-journey work. Specifically, this includes study of what it means to live from expanded heart-consciousness and what remains for participants to heal in order to fully embrace their purpose. How to gain an understanding of your soul’s path. How to deeply heal and expand your spiritual heart. How to look at your soul-contracts and understand what you have come here to learn and fulfill. How to access a stronger channel for prayer, grace, and higher consciousness. By the end of Module 3, participants will gain powerful insight into their own souls, practice in guided meditation, and experience an immersion into love and self-love that educates them on how to have a healthy relationship with love–necessary prerequisites for the 4th module on guides and angels. Module 4 focuses on Divine communication. Specifically, this includes study of the realm of the spirit guides and angels and how to connect to your own higher wisdom and guidance. The experience of receiving Guidance. Determining personal guides, angels, ancestors, and spiritual helpers. The power of the heart chakra as a conductor of Divine Guidance. The back channels of the body, and how they work in sourcing yourself. By the end of Module 4, participants will meet their guides and angels, and with their help, begin to experience healing and a more rapid clearing of energy. This occurs as faith strengthens because, naturally, there will be less emphasis on staying stuck and holding on to emotional blocks. Wendy De Rosa’s Intuitive Healing Method draws on the idea that you bear a pillar of light that is your clear truth. By clearing your emotional and energetic blocks and healing this sacred space, you open the door to living more centered and more connected to the Divine. Becoming clear in your life (and for others) through Self-healing and energy clearing. 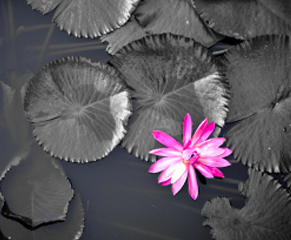 Finding the center of your TRUE self (not who you’ve been conditioned to be). Determining your unique gifts and how to utilize them in your life. Learning how to separate true intuition from mental chatter. Understanding the importance of the energetic anatomy and tools for energy healing. Revealing the path (or your soul) and your purpose on this earth. Facilitating healing for yourself and others. Tapping into the power within (instead of looking outward for answers). Unraveling the blocks that have been keeping you small. Discovering that your intuitive gifts are strengths. Living your gifts in an empowered, clear, and grounded way. Thriving as a Divinely connected individual (versus feeling disconnected, empty, or consumed by longing). As you can see, this is the most in-depth, evolutionary, supportive, and powerful training and certification course of its kind. What’s more, the Intuitive Healer Training Program places specific emphasis on self-healing, supporting participants through a process of personal energy clearing and guided meditation. By the end of the program, you will acquire the skills to administer transformation for yourself and for others. Plus, you’ll receive a certificate of completion from the School of Intuitive Studies should you wish to become a professional healer. You will also have the opportunity to become a SIS Healer and work with clients who come through the School of Intuitive Studies. Do you feel called to heal yourself and connect deeply with the Divine? Do you feel ready to begin the spiritual journey that’s been waiting for you? Wendy hones in on your desire to transform. Then it trains you to be responsible for your own energy, and empowers you to clear and clean the Divine healing space where transformation occurs. The beginning stages of this process ignite your desire for in-depth and experiential learning of intuition, calling you to deeper examination. As this Healing Method helps you invoke the Divine light and develop your intuition, you will experience clean, deep, shifting energy healing. Why Does Wendy’s Training Method Work? Those who receive Wendy’s Intuitive Healing Method and healers that give the Intuitive Healing Method feel held in light. This method draws on the idea that you bear a pillar of light in your body that is your clear truth. By clearing your emotional and energetic block, developing your intuitive gifts, and healing this sacred space, you open the door to living more centered and more connected to the Divine. Do you have the desire to transform any aspect of your life? Are you open to living more Divinely connected? 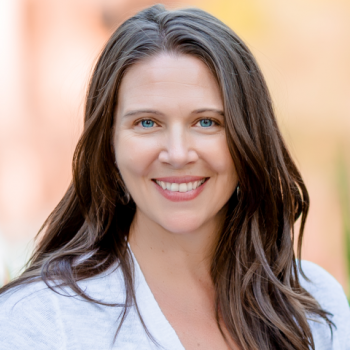 Hi, I’m Wendy De Rosa, founder of the School of Intuitive Studies and the creator of the only one of its kind; the Intuitive Healer Training Program. 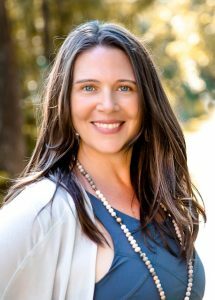 As a professional intuitive healer, I’ve trained and mentored healers and intuitives from all corners of the globe, been featured in the media, authored best-selling books and numerous articles. However, my story is not all that different from yours. I was raised on the East Coast, in a typical Italian household, facing typical problems and insecurities. Unbeknownst to me growing up, I was empathic—highly in tune with the thoughts and feelings of others—and overly sensitive. (Sound familiar?) I absorbed everything, gained weight to “protect” myself, felt anxious all the time. I felt I was imploding, and at just 19 years of age, I suffered a nervous breakdown. From great challenges comes great opportunity, and that experience was the catalyst that drove me to do my life’s work. Called to begin my spiritual journey, I started understanding how energy works and how our spirits evolve on the path of Divine Love. I became intimately aware that intuition and healing must be nurtured in order to grow. I also realized I was not alone in being overly sensitive and highly intuitive. There were others, just like me and just like you, who needed what I was discovering. Now, almost two decades later, I’m guiding thousands to experience their own transformation—having experienced a shift from what once was my biggest liability to what now is my greatest asset. With guidance from my angels and the help of Divine intervention, I’ve developed techniques and insights to deeply heal others and remove what blocks them energetically from becoming their highest self. If you feel called to embark on this same self-healing journey, I invite you to learn more, and courageously take the first step of the rest of your empowered life. 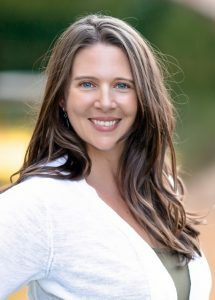 Wendy De Rosa’s School of Intuitive Studies is a school of healing arts striving to serve national and international individuals looking for healing, spiritual and personal growth. The School of Intuitive Studies offers certifications, intuitive healer training programs, and online courses for learning how to develop intuition and discover the power of the heart center. With this training, participants are not only able to improve already thriving healing arts and medical practices, participants are also able to fine-tune their ability to serve clients and patients on a whole new level. In addition to being able to better help others, students also strengthen their own sense of self, life purpose, and personal well being by learning how to clear negative energy and emotional blocks that may get in the way of treating patients at the highest level of care. The School of Intuitive Studies is a Boulder, Colorado-based school of healing arts that caters to traditional healthcare providers, mental health professionals, complementary and alternative medicine, holistic health practitioners (including massage therapists, acupuncturists, chiropractors, Reiki masters, energy healers), hands-on healers, and anyone else looking to develop strong intuition to better treat their patients or manage their intuitive gifts.